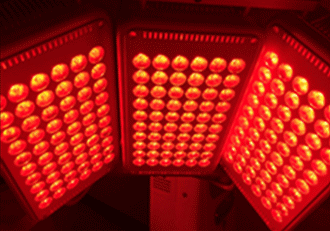 LED light therapy is a range of light therapies that use incoherent light at intensities below that of laser or IPL (Intense Pulsed Light). Recent innovations in LED technology have enabled greatly increased light power output which extends the reach to deeper tissue by enabling higher power pulsed LED output. 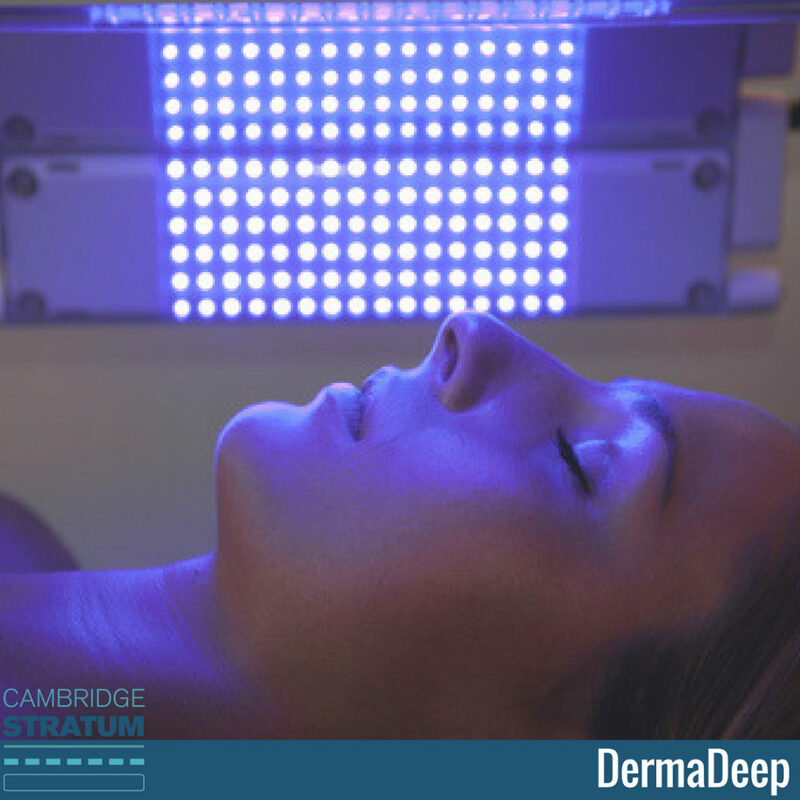 The DermaDeep is a new generation of LED light therapy. 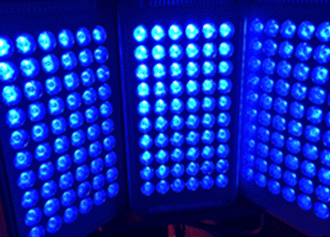 With the additional advantage of MitoPulse, it is more powerful than any other LED light therapy machine. A significant feature of the DermaDeep is the flexibility of the treatment head which can be configured flat or curved, and fixed in virtually any position. 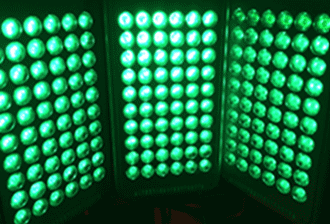 It can also be supplied with either 3 or 4 panels and with 3 or 4 wavelengths (colours). The deeper penetrating wavelengths are Red at 635nm and in particular Infrared at 830nm. It is also these wavelengths that up regulate the action of the mitochondria within the cells, which increases the production of ATP that in turn, enables cells to rejuvenate and repair themselves. 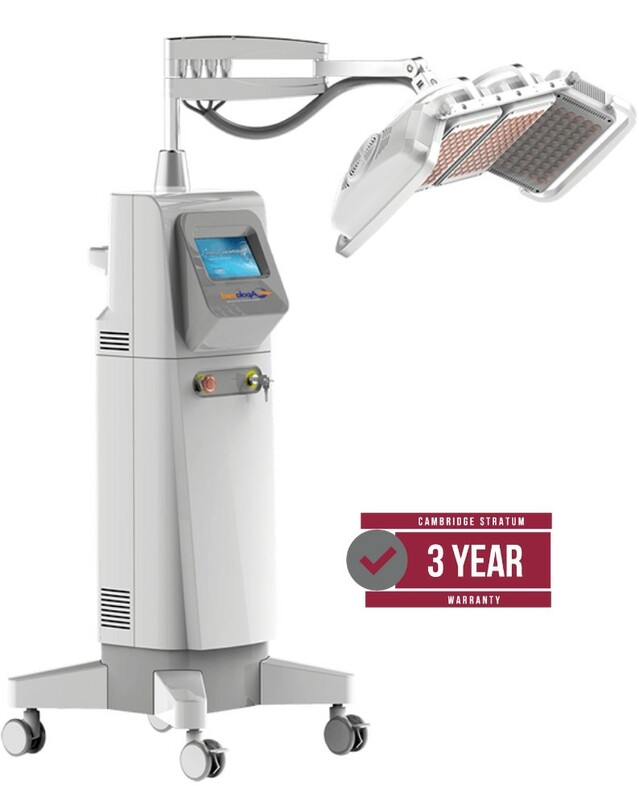 The DermaDeep is more powerful than other LED Light Therapy machines on the market and this greater fluence enables therapeutic levels of light to penetrate deeper. However, the highest level of fluence is at the skin surface and to prevent potential over treatment of the epidermis, MitoPulse™ switches the light energy on and off 200 times a second – 50% on and 50% off. This enables twice the fluence to be used without risk, resulting in deeper treatments. The high speed pulsing at 200Hz is much faster than our eyes can register as flashing; in fact when MitoPulse™ is switched on, the impression is that the light has been dimmed, while providing therapeutic levels of energy to deeper tissues than was previously possible.